A new life in Christ does not merely mean the addition of Jesus Christ to existing world-based habits, preferences, or tacking Him onto current lifestyle choices. No, indeed, for you, me, and every spiritually regenerated heart, it is necessary for the spirit to be revived from its old sinful self to a new life possible in Christ. A new creature in Christ is the revival of a spiritually dead heart hardened by the presence of sin. You see, when satan introduced sin into this world and Eve followed by Adam ate of the fruit, as recorded in Genesis chapter three, because of this, hearts of mankind are now naturally born spiritually dead. Yes, you and I were born physically on this earth with sin-filled hearts as was the Apostle Paul. A new life in Christ requires the spiritual death of the old life. It is the putting away or burying of the past life. Just as Jesus Christ physically died and was buried and rose again to new life. 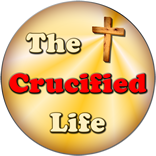 A new creature in Christ is dead to his old sinful ways, buried in Christ, and made spiritually alive in Jesus Christ. The Bible tells us that the heart of the Apostle Paul was regenerated or made spiritually alive unto a new spiritual life making him a new creature in Christ. This means that he and any other rejuvenated heart has a divinely restored spiritual soul standing in agreement with God. It is a spiritual state of heart which has been consecrated from the presence of sin and made new by the spiritual cleanup work of God. The Apostle Paul no longer had a wicked heart which naturally served the god of this world being personally involved in carrying out his wickedness and darkness. His past tirades and persecution were the dark spiritual work of the god of this world. Now Paul’s heart and life were being prepared inwardly to do the work of God outwardly in his new life. Yes, Paul was supernaturally filled with light and eternal hope and desired to savor and serve things of God. Becoming a new creature in Christ includes a one-on-one personal meeting with God, as Paul experienced on the road to Damascus. Becoming spiritually new was made possible for any person through Jesus Christ’s death, burial, and resurrection. You see, the Apostle Paul, just like any other regenerated heart, spiritually died, was buried with Christ, and rose again with Christ unto new spiritual life. It is essential for you to know that a new spiritual heart and a new life are just not possible through a person offering a prayer to God, having a desire to change, harboring regret about sin, attempting to practice good morals and values, or in doing works of any sort. A new heart condition is not something any man can put on himself. It requires the spiritual presence and intricate heart work of God. You see, Saul did not just profess an empty claim to personally know Christ. 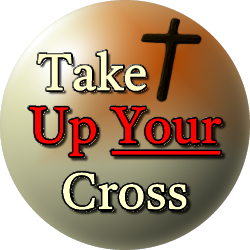 As he arose from off the ground upon meeting Christ he was immediately positioned in Christ. This “butterfly effect,” or a spiritual metamorphosis, takes place inside every softened and consecrated heart in the life of every genuine professing child of God who is willing to be used as a vessel in serving God’s will. It is both instantaneous standing and a process of godly changes over a lifetime as a man sojourns on this earth. A person who genuinely met with God as was rejuvenated in spirit is both practicing sold-out servant (Galatians 2:20) of Christ, and to be a perpetual citizen of Heaven upon his physical death on this earth. Today we often forget as we are often surrounded by lost hearts and Lukewarm Lemonade Christians, that God saves each of us with a particular service in mind. It is true since the beginning every sincere hearted Christian has been saved through faith and made spiritually new having a heart for service of God. Yes, God has a specific job He desires each of His spiritual family us to accomplish as they sojourn in this world. From Abraham to the present each person has been saved through faith for the purpose of serving God in this world. You see it is important to note that though Paul had a positional standing or a personal relationship with Christ immediately, he did not instantly step out in service for God. He communed for a time with prayer and fasting in sweet communication, thereby receiving a vision of God about his future in serving God. Paul was a man with zeal and fervor. Paul would not let his outrageous past define who he now was in Christ. Just as he once operated in opposition to things of God in being aligned with satan, he was now a new humbled man of Christ. Paul met Jesus Christ on a dusty road and was welcomed with open arms with His unconditional love. Paul would now operate with his same high level of enthusiasm, but with grace, mercy, and compassion of Christ at work in his heart. Paul now desired to be pleasing and honoring to God. ** the next devotion in this series Up Close and Personal with the Apostle Paul titled Meeting Ananias, as hands were laid on Paul by Ananias, Paul would receive his sight and the indwelling of the Holy Spirit in his softened heart.